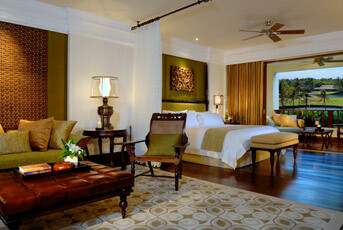 The St. Regis Bali Resort presents unparalleled luxury with 123 suites and villas at its Nusa Dua beachfront spot. 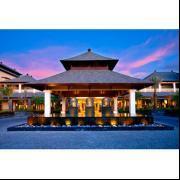 Adjacent to the Bali Golf and Country Club, the resort’s location makes it an ideal choice for golfing enthusiasts. At a rate starting from USD570++ per night for the St. Regis Suite, the resort is offering a special Hole-in-One package from now till 25 December 2010 for a minimum booking of two nights. International arrivals will be greeted at the airport with exclusive VIP immigration and luggage handling assistance. The resort also provides a limousine for return airport transfers. The highlight of the stay is a round of golf for two persons at the Bali Golf and Country Club. If one of the guests does not wish to play golf, he or she can opt for a 60-minute massage at the resort’s Remède Spa. This package includes a daily breakfast at Boneka restaurant, which serves continental cuisine prepared by Chef Oscar Perez. Each guest is entitled up to five pieces of garment pressing on the day of arrival and will also have an extended check-out time of 4pm. Guests are guaranteed personalized attention with the signature St. Regis Butler service. Visit www.stregis.com/bali for more information. 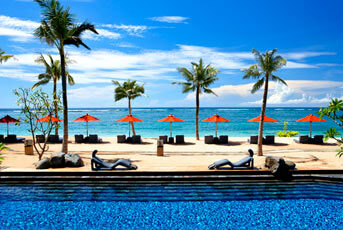 Alternatively, email Stregis.bali@stregis.com or call (62)(361) 8478 111.